Ka-bloom! Update your warm-weather wardrobe with an explosion of beautiful floral prints. 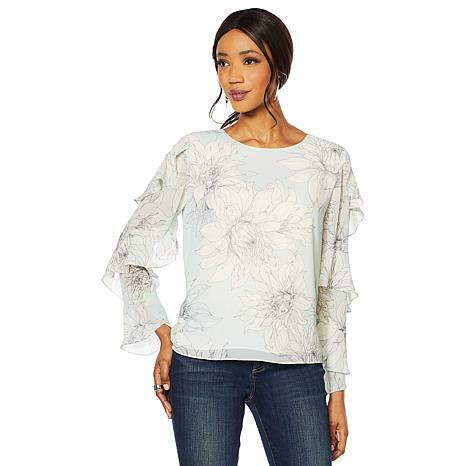 This must-have blouse features wispy chiffon fabric and long, tiered ruffle sleeves for savvy, figure-flattering style. This looked so pretty on the host, but when it came it is very washed out looking. 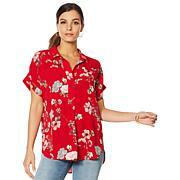 It also has a very boxy fit on the sides and does not have any shape to it. I went back and saw the host has it tucked in - most likely to hide the boxiness. Sending it back.